This can easily be completed with the first hidden object puzzle that you come across near the start of the game, in the Antechamber. 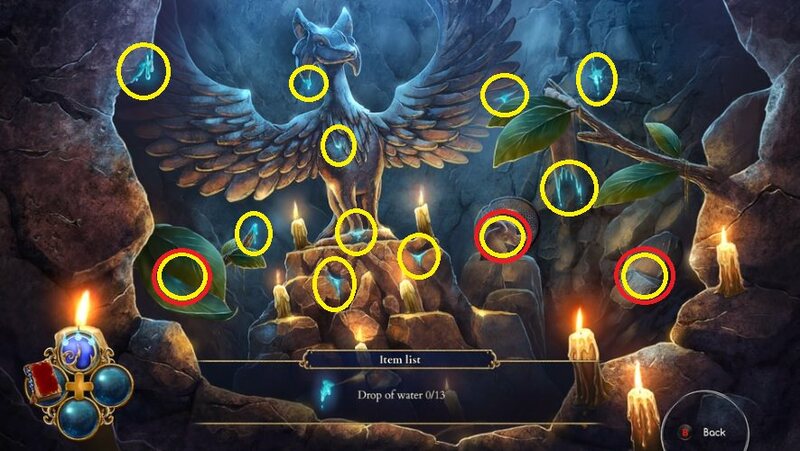 After some dialogue with Darius, a hidden object puzzle will become accessible just behind him. You will need to find 13 drops of water within 1 minute. This can easily be done here, with time to spare. Just be careful that your cursor is centered over each water drop to make sure you select it on the first attempt. There are currently no gaming sessions for the Eagle-Eyed achievements that you can join - why not register and make a new session?